Google worth more than Exxon. 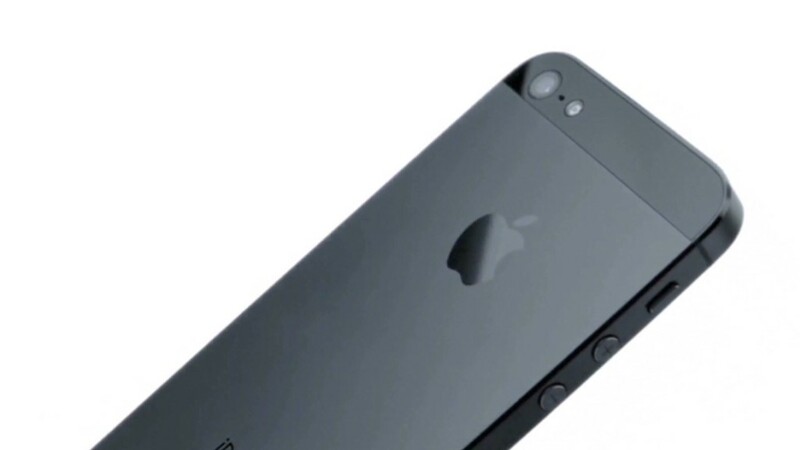 Apple next? 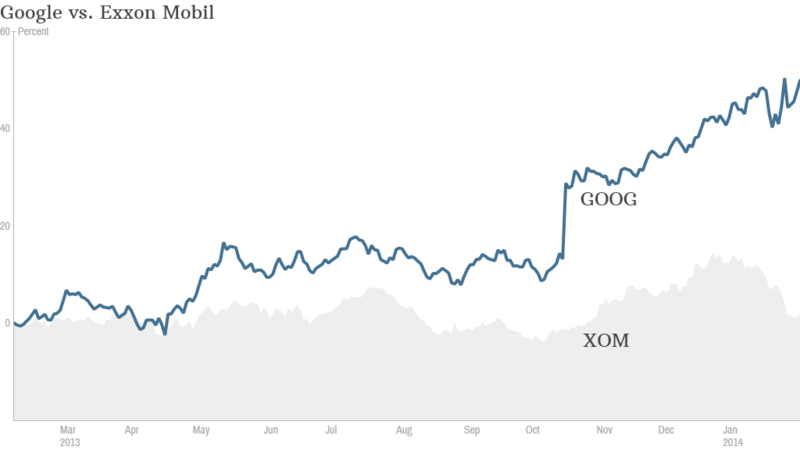 Google's stock has done much better than Exxon Mobil's in the past year. Google passed Exxon Mobil on Friday to become the second largest company in the United States by market value. The search engine giant has a market capitalization of almost $395 billion, compared to a market value of about $392 billion for Exxon. Apple, worth about $465 billion, is the most valuable company in the U.S.
Shares of Google (GOOG) are on a tear, having risen 52% in the past year. The tech conglomerate has continued to thrive even as more mature tech companies such as Microsoft, (MSFT) IBM, (IBM) Oracle (ORCL), and Cisco (CSCO) struggle to find new growth opportunities. But Google's stock isn't necessarily cheap, trading at more than 22 times earnings estimates for 2014. Exxon (XOM), on the other hand, trades for less than 12 times projected profits for this year. The company did not benefit from last year's bull run for stocks. Shares are up a mere 2% from a year ago. The oil giant, along with many other energy companies, have lagged the broader market due to relatively low oil prices. So now that Google is in second place, some investors may be wondering if the company can one day pass rival Apple to become the most valuable company in the U.S.
Apple still has a sizable lead. But Google has all the momentum. Shares of Apple (AAPL) are down more than 7% this year, largely due to disappointment about the company's earnings outlook. Google, on the other hand, wowed investors with its latest results. And many investors feel that Google, which runs the Android mobile operating system that competes with Apple's iOS, is the more innovative company in tech right now.